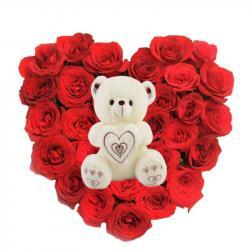 Product Consist : Heart Shape Basket Arrangement of 25 Red Roses along with 6 inch Teddy Bear and 16 Pcs Ferrero Rocher Chocolates. Thinking of a perfect and thoughtful gift for your love ones then this bouquet of chocolates set amidst red roses is perfect to embrace the most loving relationship of your life. 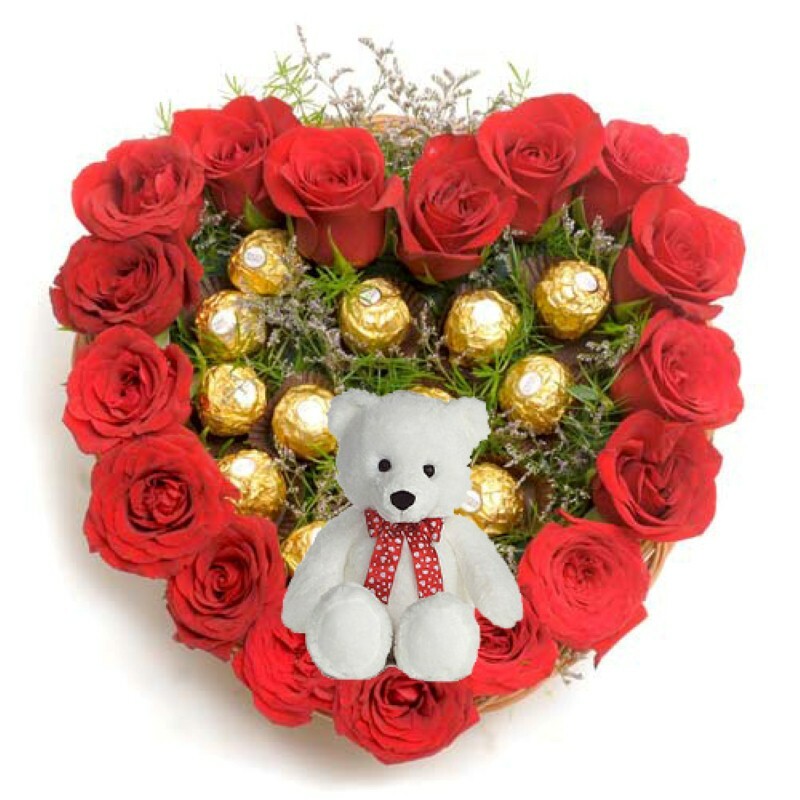 This lovely and classic arrangement of 20 Red roses in a heart shape basket and so cute and adorable Small Teddy and chocolaty treat with Ferrero Rocher chocolates. Your love one both the option of treating their taste buds as well as get enchanted with the soothing fragrance. 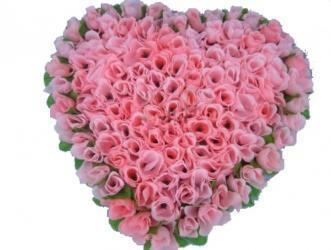 Your love one will be really surprised when they received this special love gift from you. So, book your order now Product Includes : Heart Shape Basket Arrangement of 25 Red Roses along with 6 inch Teddy Bear and 16 Pcs Ferrero Rocher Chocolates.